MSF continues to witness the significant challenges that patients in our medical operations face to secure access to affordable medicines and vaccines. Today, the lack of needs-based innovation and affordable medicines affects all countries, including some of the wealthiest countries in Europe. There are clear measures all governments can take to address the failures of our current approach to medical innovation. There is need for greater transparency along the whole R&D process -- from the cost of research and development, manufacturing, and the final price of the medicine. Like in other regions, WHO can promote and provide technical assistance for the use of TRIPS flexibilities to ensure affordable medicine prices in the EURO region – many countries today are unwilling or unable to use these legal rights. And we need new approaches to research and development that meet patient needs effectively and efficiently, especially ending the reliance on the expectation of high prices and monopolies to pay for innovation. We are concerned that these clear recommendations, backed by numerous expert groups, including the UN High Level Panel on Access to Medicines, are under threat by industry-generated ideas –in particular a value-based approach for pricing. 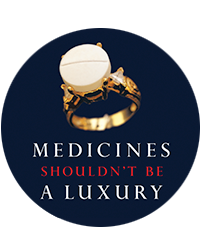 This is the wrong policy model to use to establish prices for life-saving medicines or achieve cost containment; such a model is often used for consumer goods which are priced according to their perceived value (as well as the highest price the market can pay for them) rather than cost of production plus a reasonable profit. Life-saving medicines are per definition invaluable, and adopting such a policy directly leads to the very high prices those European patients and Member States pay for their medicines. High prices are not the only challenge European patients face. TB continues to pose a major health threat to the WHO EURO region, with 32,000 TB deaths in 2015 and a mounting epidemic of drug-resistant TB; one in five multidrug-resistant TB cases globally in 2015 occurred in the European region, most of them in Eastern Europe. It is the moment for countries to embrace new R&D approaches which can deliver better and affordable treatments faster, including creatively combining push, pull and pool incentives that promote collaborative and open research efforts to address unmet health needs, for example the 3P project to develop an improved short-course TB regime. Finally, we hope that any future WHO strategy to promote innovation and access ensures coherence between different WHO initiatives, supporting and building upon the Global Strategy and Plan of Action, the Consultative Expert Working Group and the UN High Level Panel on Access to Medicines.